Edition of 69. Packaged in faux cereal boxes. 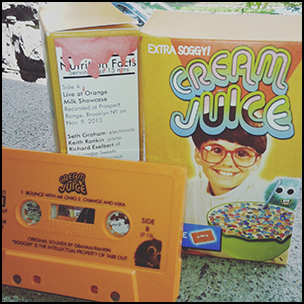 Two out of print compilation tracks and a live set (w/ Richard of Maharadja Sweets) from Keith Rankin (Giant Claw) and Seth Graham’s bonkers duo.